At Lash Forever Eyelash Extensions, our expert lash artists conduct thorough consultations with every client to help determine what length, curl, and shape would best suit the client’s eyes, taking into consideration both your style preference and the current health of your natural eyelashes. Our technicians take exceptional pride in maintaining a high standard of hygiene and professional application as well as proper technique. The application procedure is so relaxing that most clients even fall asleep. Many wake up stunned and amazed to see how gorgeous their new lashes look because we work every set to perfection. We promise you will love your new and improved lashes, we are confident that the results will speak for themselves! After getting your lashes done at Lash Forever Eyelash Extensions, you will notice a change in your daily beauty routine. When you wake up you will find it extremely convenient to no longer need to apply mascara or utilize an eyelash curler. 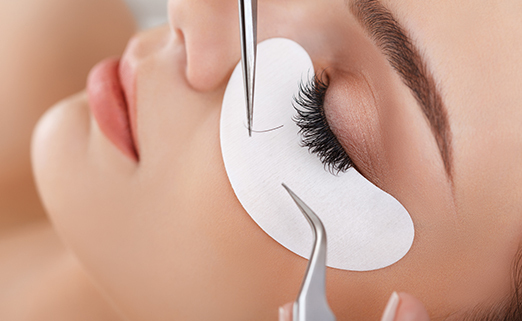 With eyelash extensions, you can prevent damage to your natural eyelashes normally caused by eyelash curlers and/or heavy mascara application.